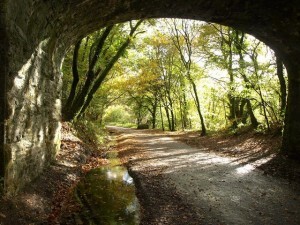 The Plym Valley Trail is one of Devon’s best tourist cycling and walking routes. 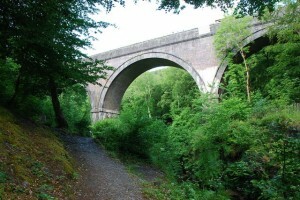 Running from Plymouth to Tavistock, the route crosses a number of RPL structures, including Leighbeer tunnel and Cann Quarry Viaduct. These structures were formerly part of the Plymouth to Launceston Branch of the Great Western Railway, which opened 1883 and closed to passengers 1962. A short video of a steam train running from Plymouth to Dartmoor in 1954 can be viewed here. 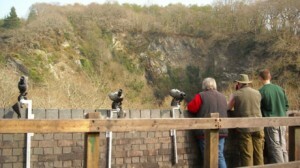 A Peregrine falcon watch programme is operated from the Cann quarry viaduct by the National Trust who manage the neighbouring Plym woods. The Plym Valley Trail has now been incorporated into Drakes Trail which continues to north Tavistock, and is part of NCN27, the 99 mile long Devon Coast to Coast route between Ilfracombe to Plymouth. Copyright Jeff Collins and licensed for reuse under this Creative Commons Licence Peregrine Watch on Cann Quarry Viaduct.